Those who follow my weekly musings will no doubt have picked up on my love of macro and bird photography. This week, however, we have something a little different! 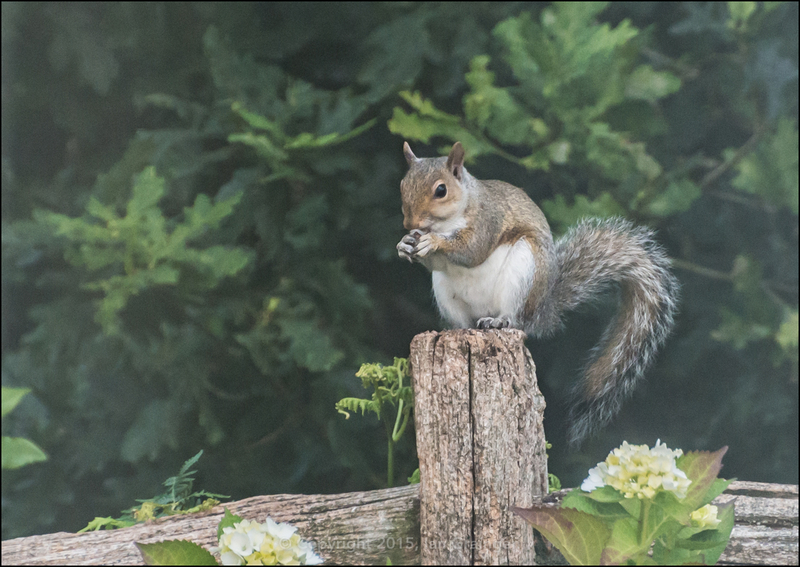 This little chap was very amusing to watch as it scurried to gather nuts from a plate situated in the garden, then scurried back to its feeding station, atop a fence post. It reminded me of a dragonfly - albeit a rather large, furry dragonfly - as it returned to a favourite reed to sun itself!